When I finished this, I thought "this is definitely one of her better books" (starting from a baseline of "awesome" so please don't think that I have a low opinion of her) even though it doesn't have Poirot or Marple. Crooked House is about the murder of Aristide Leonides, a rich man who loved his family and his family loved him. When he's poisoned, the family feels the culprit is his second wife, but Charles Hayward, the fiancé of one of the grandchildren, is not so sure. By the way, Charles is the son of some really important person in the Scotland Yard and I feel like I should know his name from a Poirot book, but I don't. What I liked about this book were the characters. The dynamic between them was extremely addictive to watch, and Christie made a good choice in making Charles the narrator, since he is somewhat of an outsider (but with a bias). And it was interesting to have a family that loved each other but was still dysfunctional instead of having everyone hate one another (well, they all dislike the second wife but they were pretty united in that). Oh, and the romance here is more plausible than the some of the Poirot ones. It starts with Charles realising he loves Sophia, and even though they don't do showy declarations of love, their relationship is very solid and quite convincing. Slight spoiler alert: what I was not too happy with (I don't dislike it because I can't imagine an alternative but I definitely wasn't satisfied) the ending. The truth does get known and the murderer won't be killing again, but it's not done in the usual style. I suppose it's fitting for Lent, since mercy was given (though the way it was carried out is questionable), but if you want a "bad guy realises s/he's wrong and feels guilty" sort of ending then you won't get it here. There isn't a dramatic confrontation either, come to think of it. Perhaps I miss that more than the lack of old-fashioned comeuppance. 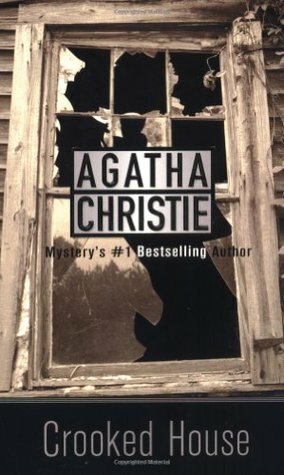 But if you're going to read an Agatha Christie novel and you haven't read this, you really have to pick it up. It's extremely well-written and I will definitely be reading it again and again and again.